Decorating the two main entranceways into Ocean Grove this summer for the historic district’s 150th anniversary is now under review by Neptune officials. Ocean Grove, the historic district noted for its Victorian architecture and Methodist religious significance, is celebrating the 150th anniversary of its founding in 1869, just after the Civil War. One of the big events over the summer will be an Independence Day Parade on Sat., July 6 from 10:30 am to 12:30 pm., culminating in a fireworks display at 9 pm. “I have seen flags or banners in other towns, especially in the summertime, and they look very nice,” Deputy Committeeman Robert Lane Jr. said at Monday’s Township Committee meeting. Township Business Administrator Vito Gadaleta said he has researched this subject in the past and that it would cost about $12,000 to $15,000 to install special brackets and poles along Broadway to hang the flags or banners. “There is no question flags or banners do dress up a corridor but it is very expensive,” he said. Gadaleta said the same cost would probably be incurred to place them along Main Avenue as well. He said that banners or flags could be installed only along roads controlled by the township, not along state or county roads. “Certainly, we could do it along Main Avenue and Broadway,” he said. Township Attorney Gene Anthony suggested the township reach out to businesses to offset the cost. “I think it is a great idea if we can do it,” Gadaleta said. He said there are about 300 mercantile licenses in Neptune and that maybe costs can go lower if cheaper prices for the equipment can be found. 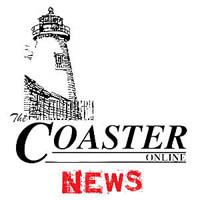 Township officials said the nonprofits, veteran’s organizations, the Ocean Grove Camp Meeting Association, and professionals in medical or legal fields could also be contacted for contributions. Posted in Uncategorized and tagged Don Stine, Neptune, Ocean Grove.